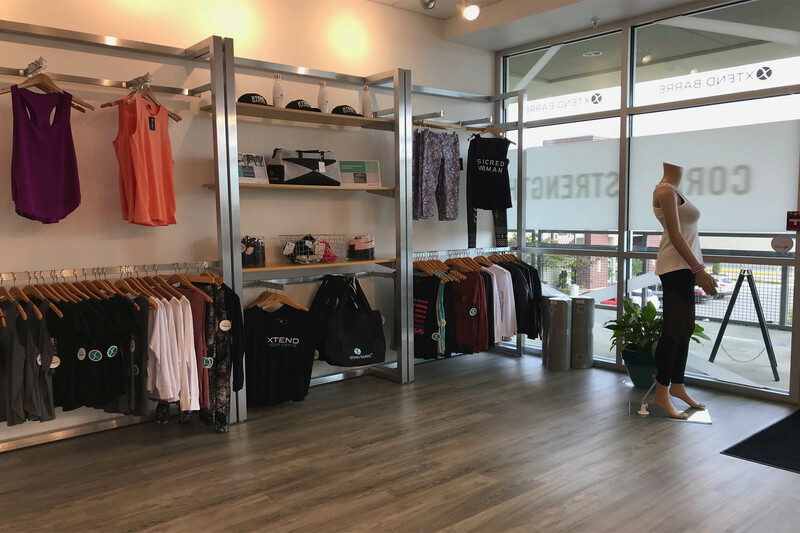 Xtend Barre Huntsville is a boutique fitness studio focusing on overall client health while sculpting and toning the body using a combination of dance, Pilates, and cardio. The premier studio is conveniently located at the intersection of Memorial Parkway and Bob Wallace Ave., in The Shops at Merchants Walk, Suite 225, with ample parking on the second level. This prominent retail center anchored by Whole Foods, offers high-quality boutique shopping and dining, and will debut many firsts for Huntsville, AL. Xtend Barre Huntsville embraces the city’s philosophy to continue supporting one of Alabama’s fastest growing communities with opportunities that deliver the best quality of life. We will open with a variety of 30+ classes, and bring to Huntsville unique fitness apparel and accessories to help keep your body on point. SC Stegman is a native of Huntsville, AL. She is a ballerina at heart! She danced for fourteen years with Alabama Youth Ballet where she had many lead parts. She enjoys dance, music and movement. She also likes hiking, traveling, and the arts around Huntsville. She is thrilled to be part of the Xtend Barre Huntsville team and can’t wait to share her love for encouraging others through group fitness. Louise has called Huntsville home for almost 14 years. She and her husband Tony have three beautiful children and enjoy an active and full life. Being a competitive runner in races all over the country, leading a balanced and healthy life is important to her. Louise truly enjoys helping others achieve their fitness goals. She has led running groups in the community, and even started a mom and baby stroller program with Fleet Feet Sports Huntsville a few years ago. Giving back to the community is a priority for Louise and her family. They spend time volunteering at the children’s schools, church, and other civic organizations focusing on children and education. Louise also teaches preschool to an energetic and precious class of 3-year-olds! With a background in group fitness classes including Cycle Works, Body Works, Practical Yoga and Step, she comes to Xtend Barre with years of teaching experience. Louise is delighted to be a part of the Xtend Barre Huntsville team and looks forward to motivating clients one plié at a time! Betsy has loved and lived her performance dreams for the last 18 years. She danced competitively with Jill’s Studio of Dance for 10 years and was a member of the Huntsville High School dance team for 4 years. Betsy enjoys helping people stay fit and achieve their workout goals. As a recent graduate of The University of Alabama, she earned two Bachelor’s Degrees, one in Human Development, Family Studies and the other in Early Childhood Education. With her background in dance and human development studies, Betsy is able to combine her love of teaching with her passion of exercise to help others achieve an overall healthy lifestyle! Tasha has been in the fitness industry for well over a decade. Upon arriving in Huntsville in 2004, she started her fitness career selling memberships at a local gym. Tasha’s background in counseling led her to want to help people on a more intimate level. After becoming a certified Yoga instructor in 2005, she then became a personal trainer adding several certifications to her resume including Zumba, Pilates, Piloxing and CIZE. Tasha is impassioned about adding Xtend Barre to her repertoire of fitness expertise! Jordan graduated from Auburn University where she studied Kinesiology and Nutrition. She has always had a passion for fitness and has been a group fitness instructor for 3 years. After moving back home, Jordan wanted to add to her repertoire of fitness expertise. She took her first Xtend Barre class and fell in love! Jordan knew that Xtend Barre Huntsville is where she desired to be teaching, taking classes, pursuing her dreams of a Master Trainer, while passéing her love of fitness on to every client! Erika Davis is a recent graduate of the University of Alabama where she received a Bachelor’s of Science in dance and a minor in mathematics. She is currently getting her masters in Information Sciences at the University of Alabama in Huntsville. Erika grew up dancing at Susan’s Studio of Dance, became a prominent member of their competition team, and a faculty member at age 16. A few of Erika’s favorite performances include the Dizzy Feet Foundation Gala in Los Angeles and the Young Choreographer’s Festival in New York City. During college, Erika performed in a variety of dance shows including Alabama Repertory Dance Theater and Dance Alabama. She served as the president of Dance Alabama, as well as having her choreography featured each semester. Her most recent choreography projects include Element Dance Company in Huntsville, Broadway Dance Center’s showcase, and Mississippi State University’s Show Choir. Erika finds joy in teaching dance to children with special needs at Merrimack Hall in Huntsville and is looking forward to another great year helping them “dance their dreams.” She is a new performing member of the Arova Contemporary Ballet Company in Birmingham and can’t wait to combine her love for dance with barreology to keep her clients’ bodies on point!